click pop out arrows in lower right corner of image to browse the scrapbook. 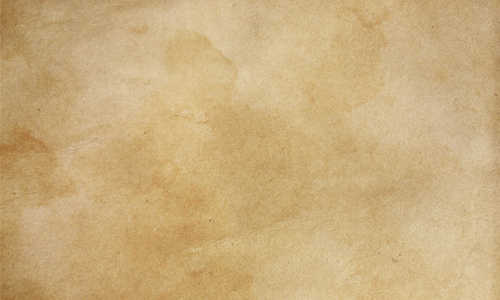 Mouse over scrapbook images for dates, place, transcriptions, and annotations. Accounts found in the Saturday Evening Post show that Paris was painted in stars and stripes for July 4, 1918. Parisians lined the streets to catch a glimpse of the American soldiers-the very same ones who had so bravely defended the road to Paris at Chauteau Thierry from Prussian troops. Perhaps it was because they had been so quickly thrown into the forefront of the line, but the Americans were highly unaware of what their resistance had done for the rest of the Allied troops. So, after four years of misery, the French thought what better compliment could be paid to the “Devil Dogs” than to celebrate America’s Independence Day the same way it was back home. Paris saw itself as home to a Red Cross sponsored parade, where, led by a French battalion of veterans, American soldiers paraded from Place de la Concorde to the Champs Elysee and then all the way down L’Avenue du President Wilson; their band playing “Over There” as the crowds went wild with enthusiasm. For the French, the American presence offered a ray of hope in what was the final stretch of a tiring battle; for the Americans, the parade was a welcoming reminder of why they were so far from home, fighting for freedom for the very first time on French soil. Noted American musician Walter Damrosch spoke of the parade to the Marine Bulletin, recounting the indescribable feeling that being an American at that moment was the most glorious thing in the world; “...the victory in which the Marines had shared put new heart into the French” after all . March 21, 1918 began Germany’s Spring Offensive, a plan that heavily involved encroachment onto Paris, and Damrosch and the rest of the city had lived every day anxiously awaiting evacuation. At the parade, American Red Cross nurses clad in blue followed behind the boys in khaki, receiving just as many cheers, and if Clarke had been amidst the nurses marching, she was bound to have seen the women and children running with flowers to toss at the marching men and women, and the French countrymen standing respectfully along the streets with tears in their eyes. 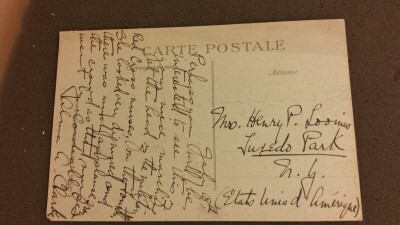 Due to discounted postage rates, postcards were the preferred method for people of modest means to stay in touch –in fact, during the financially unstable time of war, many soldiers and their familial counterparts depended on postcards as the prime means of communication between the warfront and home. Other postcards like Clarke’s have been found, some also recounted the Fourth that year, while others served more as a basic communication about everyday life. An unnamed soldier’s postcard to his girl offers a grim telling of life on the front on the very same Fourth of July on which Anna Reed Parsons wrote a letter from the Hotel de Crillon echoing the sentiments of both Clarke and Damrosch in that the holiday was festively celebrated throughout the Parisian streets. 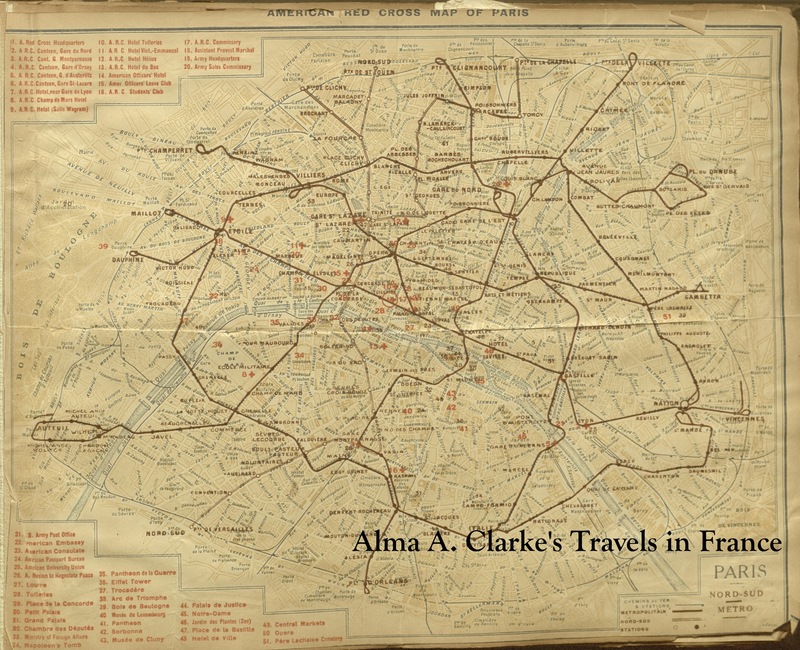 Parsons’ life eerily mirrored that of Clarke-both women worked within Parisian hospitals (Clarke in Neuilly-sur-Siene, Parsons in Juilly) before working with orphans along the frontier. During World War I, Hotel de Crillon was significant for being more than just a hotel in which Parsons found herself; the hotel welcomed guests like Woodrow Wilson while also acting as the location for the American Commission to Negotiate Peace, which Clarke would later frequent in 1919.